FedExField has been the home of the Redskins since 1997. This is a list of the Washington Redskins NFL Draft selections. The Washington Redskins franchise was founded as the Boston Braves, named after the local baseball franchise. The team changed their name to the Redskins in 1933 and moved to Washington, D.C. in 1937. The dispersal draft gave NFL teams the league rights to the players from teams in the dissolved All-America Football Conference. Mark May was drafted in the first round of the 1981 Draft. 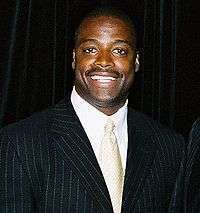 Darrell Green, a first-round draft pick in 1983, was inducted into the Hall of Fame in 2008. The supplemental draft gave NFL teams the league rights to the players who had been eligible to be drafted but were not because they were under contract with teams in the United States Football League or the Canadian Football League. 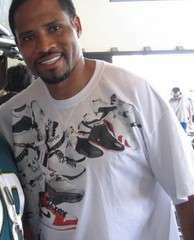 Clarence Vaughn was drafted in the eighth round of the 1987 Draft. Mark Schlereth was drafted in the tenth round of the 1989 Draft and won three Super Bowls in his career. Keenan McCardell was drafted in the twelfth round of the 1991 Draft and rejoined the team in 2007. Desmond Howard was drafted in the first round of the 1992 Draft. 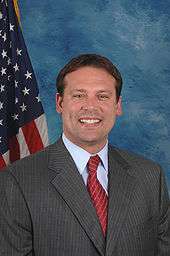 Heath Shuler, drafted in the first round of the 1994 Draft, is now an American politician in the United States House of Representatives. 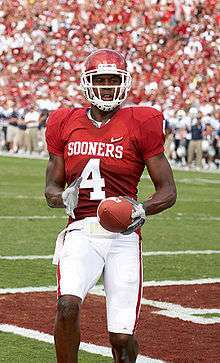 Champ Bailey was drafted in the first round of the 1999 Draft. Chris Samuels was drafted third overall in the 2000 Draft. 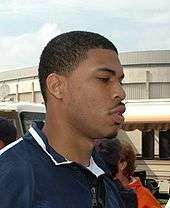 Fred Smoot was drafted in the second round of the 2001 Draft. 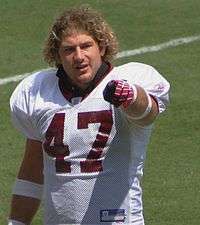 Chris Cooley was drafted in the third round of the 2004 Draft. 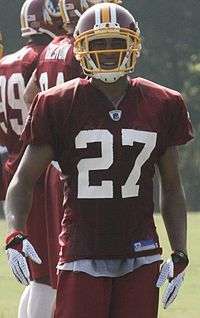 Sean Taylor, a first-round draft pick in 2004, played safety for the Redskins until he was fatally shot in November 2007. Jason Campbell was drafted in the first round of 2005 Draft. 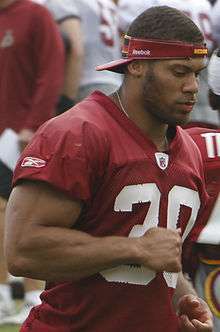 LaRon Landry was drafted sixth overall in the 2007 Draft. 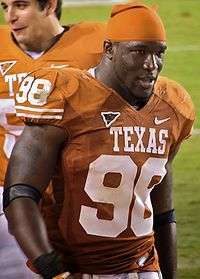 Brian Orakpo was drafted in the first round of the 2009 Draft. 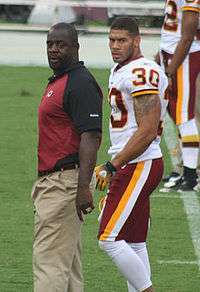 Perry Riley was drafted in the fourth round of the 2010 Draft. Ryan Kerrigan was drafted 16th overall in the 2011 Draft. 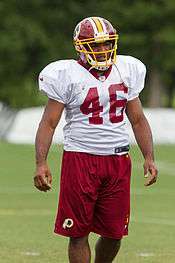 Alfred Morris was drafted in the sixth round of the 2012 Draft. Jordan Reed was drafted in the third round of the 2013 Draft. Trent Murphy was drafted in the second round of the 2014 Draft. The following schools have had multiple players selected by the Washington Redskins since the 1936 NFL Draft through the 2013 NFL Draft. This does not include the 1950 AAFC Dispersal Draft and the Supplemental Drafts (1984, 2009). a The Washington Redskins chose Cal Rossi with the ninth overall pick in the 1946 NFL Draft. However, Rossi was a junior and not eligible to be drafted. They chose him again in the 1947 NFL Draft, but he never intended to play football professionally. This means that the Redskins have used 14 picks on UCLA players, despite drafting only 13 players. b On January 19, 1967, the Board of Trustees voted to end George Washington's football program. Poor game attendance and the expense of the program contributed to the decision. A former GW player, Harry Ledford, believed that most people were unwilling to commute into Washington, D.C., which did not have a metro rail at the time, on Friday nights to RFK Stadium, which was perceived as an unsafe area. Additionally, Maryland and Virginia were nationally competitive teams that drew potential spectators away from GW. c The university is now known as the University of North Texas. d At the conclusion of the 1992 season, the Santa Clara football program was discontinued, due to new NCAA regulations which mandated all sports be played at the same level at each university. Santa Clara had fielded all Division I teams with the exception of the Division II football team, and elected not to field a team at the Division I-AA level. e On November 30, 1964, it was announced that the University of Detroit Mercy would discontinue its football program, due in part to increased expenses and poor attendance. f The university is now known as the University of Memphis. g The university is now known as Loyola Marymount University. The football program was discontinued after the 1973 season. h The University of the Pacific's Board of Regents voted to eliminate the football program following the 1995 season, due to the high costs of the team and shrinking attendance. i On January 3, 1961 the University of Scranton discontinued its football program. The program had been losing money for more than a decade primarily due to poor attendance at the games. j The university is now known as the University of Arkansas at Pine Bluff. k Boston University terminated their Division I-AA football program on Homecoming Weekend 1997 during a one-win season in the Atlantic 10.
l At the conclusion of the 1992 season, the California-Santa Barbara football program was discontinued, due to new NCAA regulations which mandated all sports be played at the same level at each university. Santa Barbara had fielded all Division I teams with the exception of the Division II football team, and elected not to field a team at the Division I-AA level. m Cameron University discontinued its football program on December 11, 1992, due to the costs of maintaining the program, particularly the need to replace the artificial turf at the stadium. n Marquette University discontinued its football program after the 1960 season, after accumulating several years of budget deficits for the university. o The University of Maryland Eastern Shore was once a powerhouse black college football program, producing five undefeated seasons between 1947 and 1960 (as Maryland State College), but like many smaller colleges, the high costs associated with operating a Division I football program and complying with Title IX became too much of a burden, and the team was shut down after the 1979 season. p New York University terminated its intercollegiate football program in 1953.
q The university is now known as the University of Louisiana at Monroe. r The university is now known as Texas State University–San Marcos. s The university is now known as the University of Louisiana at Lafayette. t On March 3, 2004, the board of trustees for Saint Mary's College of California, based on recommendations of an Athletics Review Task Force, shut down the football program. u The university is now known as Troy University. v The university is now known as West Texas A&M University. w The Board of Trustees for Xavier University ended the football program in 1973 following a determination that it lost $200,000 every year. ↑ "History: History by Decades". Washington Redskins. Retrieved 2008-04-24. ↑ "Washington Redskins (1937-present)". Sportsecyclopedia. Retrieved 2008-04-24. ↑ Alder, James. "NFL Draft Basics:Determining Order of Selection". football.about.com. Retrieved 2008-04-24. ↑ "Pro Football Draft History: The 1930s". Pro Football Hall of Fame. Retrieved 2008-04-24. 1 2 3 4 Richman, Michael (2007). The Redskins Encyclopedia. Temple University Press. p. 399. ISBN 1-59213-542-0. 1 2 3 4 Velin, Bob (April 17, 2002). "'Heisman jinx' started early: Draft's first pick". USA Today. p. SPORTS; Pg. 7C. 1 2 3 4 Mosley, Matt; Clayton, John; Pasquarelli, Len (April 18, 2007). "NFL draft can take wacky turns". ESPN.com. Retrieved December 23, 2010. ↑ "History : 70 Greatest Redskins". Washington Redskins. Retrieved 2008-04-30. ↑ "1950 AAFC Dispersal Draft" (PDF). Pro Football Researchers. Retrieved 2011-05-15. ↑ "Mark May's Career Statistics". NFL.com. Retrieved 2008-04-30. ↑ "Darrell Green's Career Statistics". NFL.com. Retrieved 2008-04-30. ↑ "1984 Supplemental Draft". Pro Football Hall of Fame. Retrieved 2009-12-05. ↑ "Mark Schlereth's Career Statistics". NFL.com. Retrieved 2008-04-30. ↑ "Keenan McCardell's Career Statistics". NFL.com. Retrieved 2008-04-30. ↑ "Heath Shuler's Career Statistics". NFL.com. Retrieved 2008-04-30. ↑ "Heath Shuler's Political Bio". Biographical Directory of the US Congress. Retrieved 2008-04-30. ↑ "Chris Samuels' Career Statistics". NFL.com. Retrieved 2008-04-30. ↑ "Chris Cooley's Career Statistics". NFL.com. Retrieved 2008-04-30. ↑ "Sean Taylor's Career Statistics". NFL.com. Retrieved 2008-04-30. ↑ Amy Shipley, Jason La Canfora (November 27, 2007). "Sean Taylor Dies in Miami". Washington Post. Retrieved 2008-04-30. ↑ "Jason Campbell's Career Statistics". NFL.com. Retrieved 2008-04-30. ↑ When we played football: the GW boys of fall, 1890-1966, The GW Hatchet, August 30, 1999. ↑ Let Them Play: Supporting The Return of Football to Santa Clara, LetThemPlay.com, 2008. ↑ University of Detroit Football Collection, University of Detroit Mercy. ↑ 62 Years of Stagg Stadium: The Rich History of a Stockton Landmark, University of the Pacific, February 26, 2012. ↑ University of Scranton Football: THE LAST SEASON - 1960, University of Scranton. ↑ Lack of Gaucho Football Isn’t a Matter of Principle; It’s a Matter of Price, The Bottom Line, February 6, 2013. ↑ "New York University's Football Legacy". NYU Alumni Connect. Retrieved 2012-11-27. ↑ Curtis, Jake (2004-03-04). "Gaels' football program sacked / St. Mary's officials cite cost as main factor". San Francisco Chronicle. Retrieved 2013-03-17. ↑ Schaber, Greg (Fall 2004). "Legends of the Fall". Xavier University. Retrieved 2009-12-16. Alder, James. "NFL Draft Basics:Determining Order of Selection". football.about.com. Retrieved 2008-04-25. "Draft by Year". DraftHistory.com. Retrieved 2008-04-25. "Draft History". The Football Database. Retrieved 2008-04-25. "Draft History: 1936-59". TheHogs.net. Retrieved 2008-04-25. "Draft History: 1960-89". TheHogs.net. Retrieved 2008-04-25. "Draft History: 1990-Present". TheHogs.net. Retrieved 2008-04-25. "Draft History – Washington Redskins". NFL.com. Retrieved 2008-04-25. "Hall of Famers by Franchise". Pro Football Hall of Fame. Retrieved 2008-04-25. "NFL Draft History and AFL Drafts". Pro Football Reference. Retrieved 2008-05-13. "NFL Draft History: Full Draft". NFL.com. Retrieved 2008-04-25. "Professional Football Transactions Archive". Pro Sports Transactions. Retrieved 2008-04-25. "Pro Football Draft History". Pro Football Hall of Fame. Retrieved 2008-04-25. "Washington Redskins Draft History". Washington Redskins. Retrieved 2008-04-25. "Washington Redskins Draft History". NFL.com. Retrieved 2012-01-24.